Android 9 Pie was released more than three months ago, but Samsung phones, including the Galaxy S9 and Galaxy Note 9, still aren’t running the latest software. As Samsung works on updating its devices to Android 9 in the coming months, today we learned there’s one really annoying change in policy that will be waiting for users when it’s ready. According to a notice sent out by Samsung, free themes in its store will only work for 14 days once users upgrade to Android 9, after which the phone will revert back to Samsung’s default One UI skin. Here’s a screenshot of Samsung’s new policy change. For people who don’t want to revert, Samsung says it will provide a pop-up notification one day before the end of the 14-day usage period, with a second notification 10 minutes before the theme automatically changes back to the default. Samsung’s One UI is a new take on the company’s long-running Android skin. 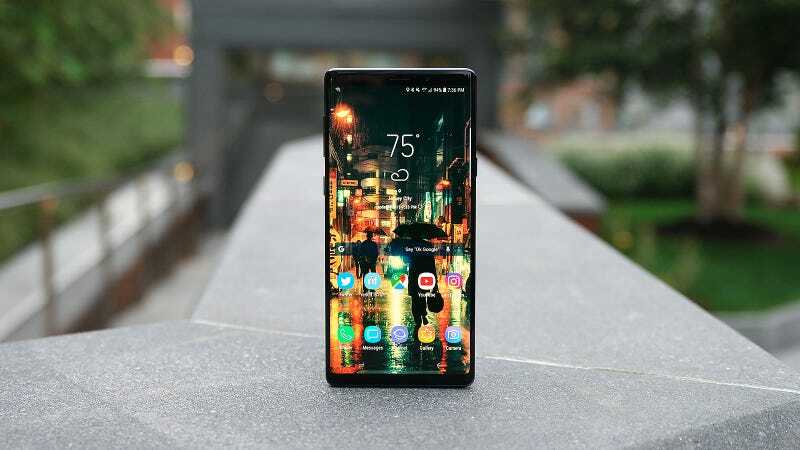 The interface is the successor to Touch Wiz and its more recent evolution, the Samsung Experience UI, which is currently featured in new Galaxy devices. The One UI was unveiled last week at the Samsung Developer Conference and features a more intuitive interface design to make frequently used features easier to reach while also cutting down on some of the bloat people disliked about Samsung’s previous skins. In its notice, Samsung doesn’t offer an explanation for this change in policy, but if you’ll allow me to speculate a bit, I think there are two main arguments behind the move. The first is that, with the introduction of One UI, Samsung would probably really like it if everyone just used the company’s shiny new interface. The other reason is that, with the notice coming so shortly after its dev conference, Samsung may be trying to appease theme makers by encouraging users to buy paid themes rather than relying on free alternatives. We’ve reached out to Samsung for an official comment on the matter and we will update the story if we hear back. But here’s the thing that’s really annoying: No matter how Samsung tries to explain it, a 14-day trial for a theme—which is effectively what its notice describes—isn’t the same as free. Even if users don’t fork over any money for a theme, if it disappears after two weeks, they can’t really say they own it. That’s a loan at best. Hopefully, Samsung will change it policy before its Android 9 update rolls out officially, because as it stands now, there’s going to be a bunch of pissed off Galaxy phone owners in the coming months.